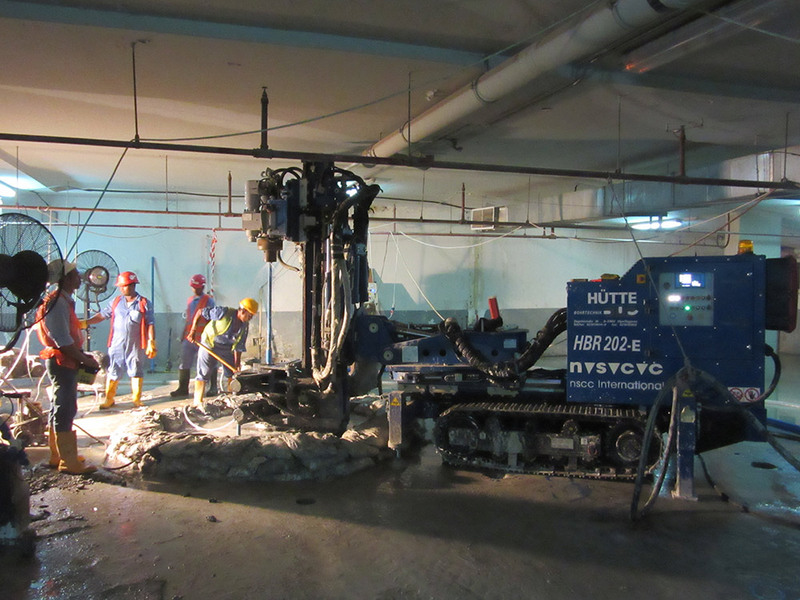 TITAN Preventer is used in conjunction with micro-piles in areas where water ingress is a distinct possibility, for example in basement areas and underground car parks. By using the Preventer system, dewatering is often not required. The Preventer valve system is connected to a compressor via an air line. The system is operated by opening and closing the rubber insert, by applying air pressure to inflate (close) or deflate (open) the rubber insert. 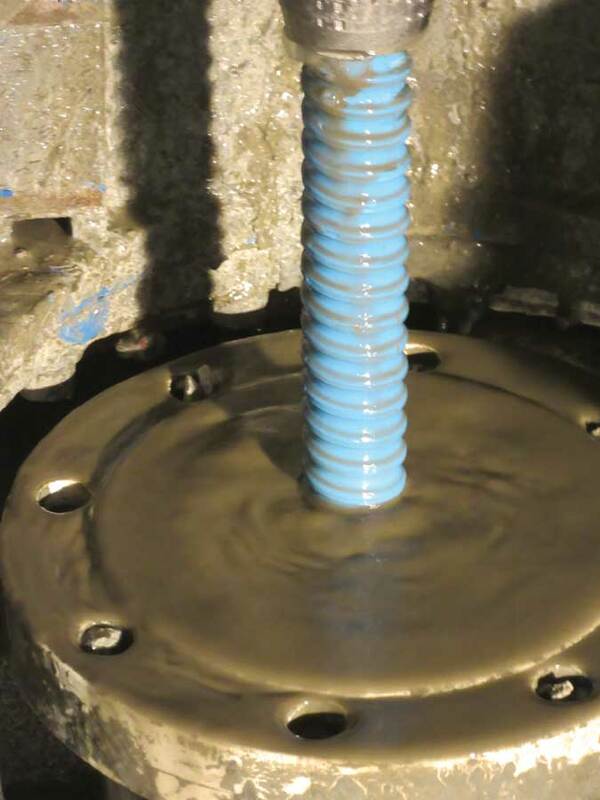 When the rubber insert is in the closed position, it restricts the ingress of water, whilst pressing tight against the micropile, allowing the installation and grouting to be completed. 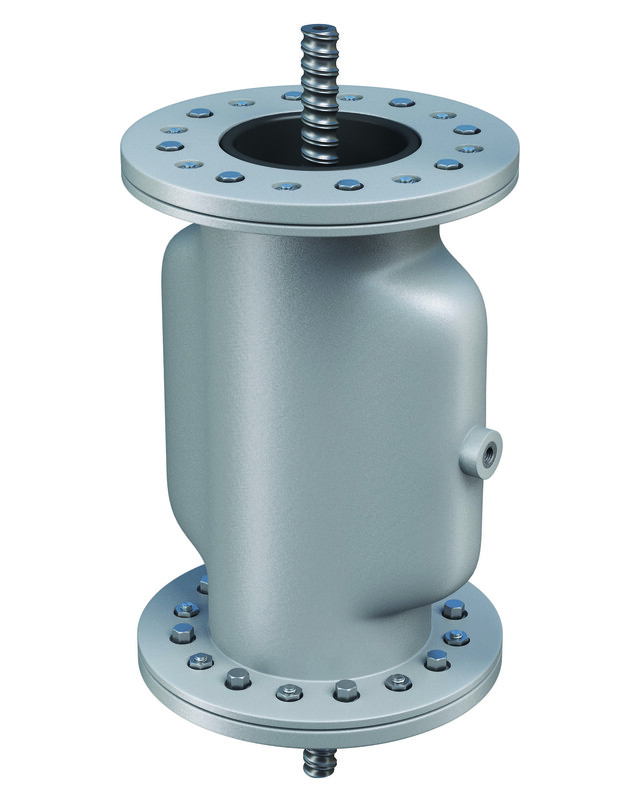 The Preventer is fixed securely to the structure prior to commencing the installation. It is removed once the grout has completely cured, exposing the top of the micropile ready for the head detail to be constructed. 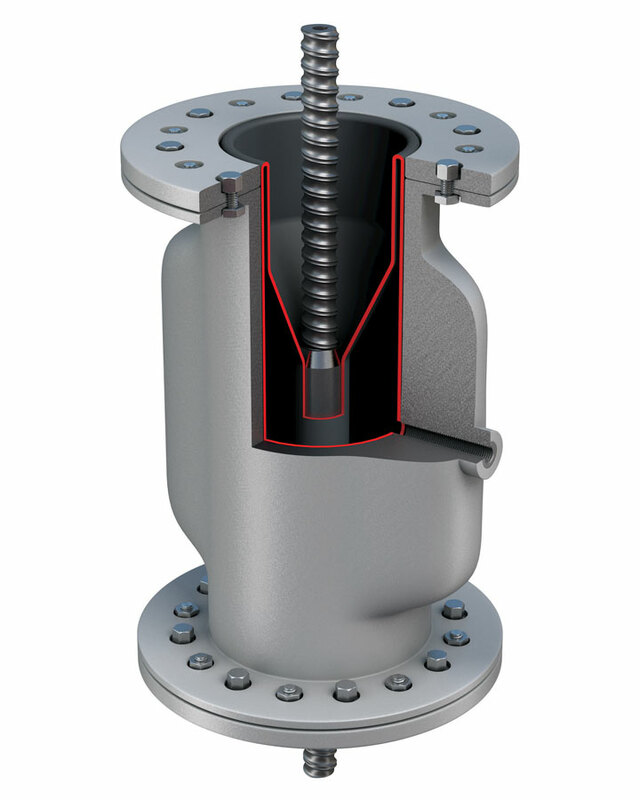 Installation through the Preventer involves adjusting the pressure to allow a ‘gentle’ backflow, which is essentially employed to lubricate the rubber insert. It is the responsibility of the Preventer engineer to determine the required pressure during the installation process. Typical pressures are 1.5 bar during drilling and 3 to 4 bar when closed. 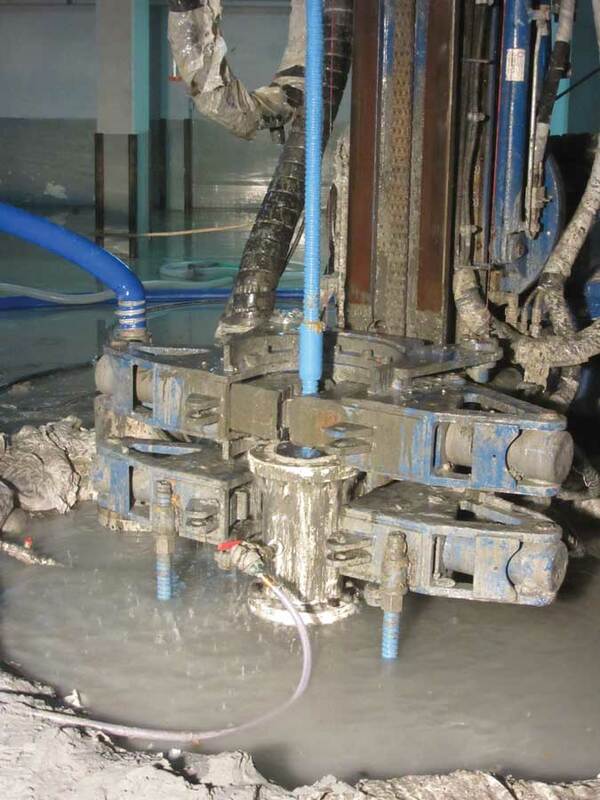 The micropile installation uses a water flush, depending of geological conditions, however on occasions a cement grout, with a water cement ratio of 1 (by weight) can be used as a flushing fluid. The quality of the cement grout body and bond are improved by adopting a slower drilling rate and frequently cleaning out the drill hole. 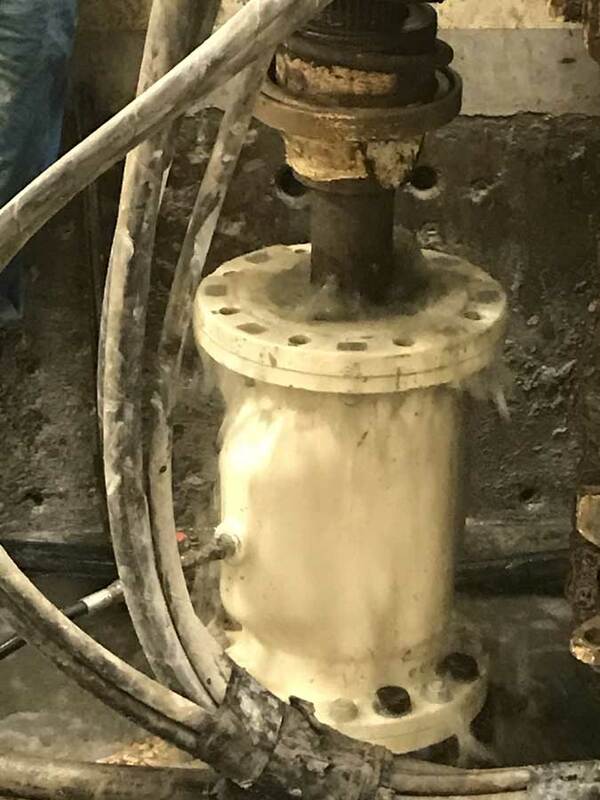 This process known as reaming, involves repeatedly extracting and reinserting the drilling rod/micropile, while continuing to rotate the rod and flushing out the drill hole. This procedure allows the debris to be flushed from the drill hole to the surface and was continually monitored by the drilling operative. 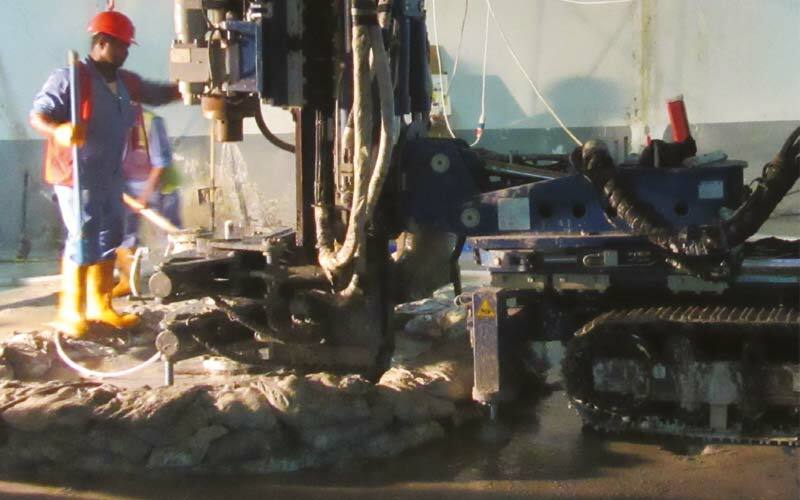 Once the micropile reaches the required design depth, dynamic pressure grouting is undertaken. Dynamic pressure grouting is the term given to the simultaneous process of injecting grout, whilst rotating the micropile tendon, resulting in a dense grout body encapsulating the tendon. The stiff grout mix displaces the thinner flushing medium used to support the drill hole, encouraging it to return to the surface.